A Year of Being Here: Linda Hogan: "Rapture"
"Rapture" by Linda Hogan, from Rounding the Human Corners: Poems. © Coffee House Press, 2008. 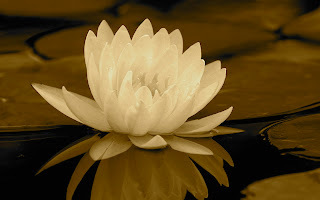 Photography credit: "Lotus Blossom Flower," by unknown photographer (originally color).